Browse our selection of Klaussner Leather Furniture below. All models include a kiln-dried hardwood frame and a lifetime warranty. Every Klaussner model is available in a terrific selection of top-grain leather hides. 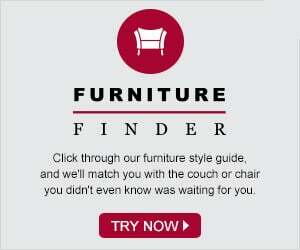 Scroll down to view or selection of Klaussner Sofas, Studio Sofas, Loveseats, Sectionals, Chairs and Ottomans! We'll be continuously adding additional pieces to our Klaussner selection, but be sure to Contact Us or give us a call if you're interested in any Klaussner piece but cannot find it below. 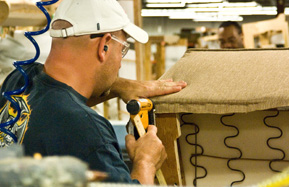 For over 50 years, Klaussner has been one of the nation's largest suppliers of upholstered furniture. All Klaussner products featured on Savvy are made in the U.S. Klaussner Furniture is marked by a terrific number of custom options, fabric and leather upholsteries, and quality construction. All the seating from the line now includes Pocket-Coil Seating, with Down-Blend cushion upgrades available. The entire line of Klaussner Furniture featured on our site is constructed by hand in North Carolina. All pieces include a lifetime warranty, as well as terrific tailoring and kiln-dried hardwood frames. 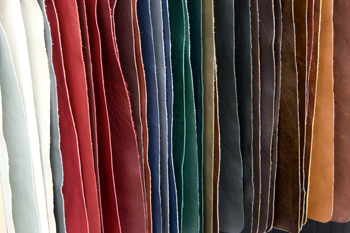 Every Klaussner leather offered on our site is a 100% top-grain hide. Any Klaussner product can be made in any Klaussner leather. Choose your favorite style, size and leather to make your perfect leather furniture. Klaussner offers furniture in every size from Ottomans to True Sectional sofas. 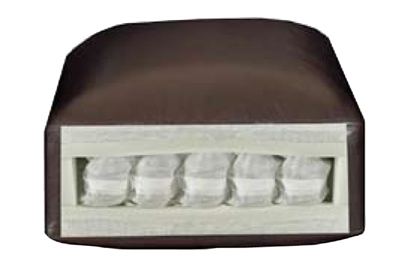 72 individually-wrapped springs are sandwiched by high-density foam cores on each Klaussner seat cushion, at no additional charge. The pocket-coil seats truly provide an outstanding balance of plush comfort and ample support. In our "Design Center" you are always able to upgrade to the ultra-plush down-blend seat cushions as well.